By blending automation and expertise, a strong social intelligence strategy can transform social media data into actionable insights — and help shape your company’s products, advertising and customer experience. In an age where most companies have a social media presence on platforms such as Facebook, Twitter, LinkedIn, Snapchat and Instagram, it’s somewhat surprising that many still haven’t figured out how to turn the data gathered from company-owned properties and broader social media listening tools into automated and actionable intelligence. “Social intelligence is just making use of the analysis social analytics tools give you. It could be basic or it could be complex, but it needs to be applied to become intelligence. I thought we would be there by now but it’s just not happening,” says Jenny Sussin, research vice president at Gartner. Sussin gives the example of a yogurt company that is trying to identify a new market to hit with a new flavor. “Although the core demographic for yogurt is women, the company might want to find out what men in the Northeast who play lacrosse want in a ‘power yogurt.’” Using a series of queries in social analytics tools such as Brandwatch, Crimson Hexagon, Synthesio, and Talkwalker, companies can uncover part of their answer. But what’s largely missing in enterprise endeavors, and really is the game changer, is automatically being able to funnel social analytics into traditional CRM, ERP and other back-end systems to marry social findings with existing internal data. If anything, Sussin says, companies often take a “dumbed down” version of a social analytics report and manually incorporate it into CRM systems. Bryan Long, senior manager of Nissan North America’s Social Media Customer Strategy team, says technology will continue to greatly assist Nissan’s social media efforts but there is only so much automation that can be applied to social analytics, and that parsing the brand’s posts, tweets, and mentions, which total millions per year, into actionable intelligence requires human analysis. “There will always be a need for people to read, interpret and understand what customer needs are and how the brand should react,” he says. Nissan North America has six to eight analysts that review data aggregated in queues by the social media management tool Sprinklr, which monitors corporate Twitter handles, Facebook pages, Instagram and Google Plus. The analysts, Long says, are the ones who decide when to respond. “An individual instance of concern might not be enough to warrant a look, but when you get into a top 10 or top 20 ranked concern, you have to start paying attention,” he says. Long considers social intelligence a very important data point that, when coupled with satisfaction surveys and other customer feedback, can help inform and shape the organization’s products, advertising and customer experience. The social team, established five years ago, uses Sprinklr to organize and tag data, which helps get actionable intelligence into the hands of decision makers. Social information gathered in Sprinklr can be compared to other technologies throughout the organization to validate and resolve problems. The team is able to create reporting for various departments such as corporate communications, legal and marketing. Long says the company has seen the power of social media play out in many business decisions. “We make quick but studied decisions while watching factors such as sentiment, volume and influence,” Long says. As the only employee 100 percent dedicated to social media at Zebra Technologies, Global Social Media Strategy Manager Sally-Anne Kaminski considers it her job to champion social intelligence throughout the company, a maker of mobile computers, scanners, RFID and barcode printers. When the sales enablement team approaches her about prospective clients, Kaminski taps Oracle’s Social Cloud, a social relationship management tool, to build a comprehensive dashboard to help the sales representative nail the sale. Kaminski loads Social Cloud’s Boolean search with keywords, phrases and topics to discover in conversations across Facebook, Twitter and LinkedIn, as well as message boards and blogs. “We find insights into [the prospective client’s’] products or solutions that might be causing pain points for their customers,” she says, adding the tool’s semantic filtering helps automatically keep results aligned with intent. Then she delivers a presentation deck to the sales enablement team, complete with a word cloud showing common sentiment across social media of the target’s brand. Lengthy sales cycles keep her from learning if the presentations led to a closed deal, but the repeat asks for assistance indicates to her they have been effective. Like Nissan North America’s Long, Kaminski believes human intervention will continue to be a key part of social intelligence, no matter how integrated social analytics and back-end systems become. “I think it does take a unique blend of art and science to be able to sift through thousands of tweets and Facebook posts to uncover what might be a true insight versus one or two squeaky wheels that might have an issue,” she says. Having a deep understanding of the company’s products and services also is essential in transforming social listening to social intelligence, something she says would be lost in full automation. “If we see a conversation around a pain point, we can make the connection that one of our products can fill that gap,” she says. Kaminski, who has been heavily involved in social media since 2009, says she is “fascinated by the psychology of what makes someone go to social media and flame a brand, or on the flip side, profess their love of a brand and talk about it all the time.” Humans, not automated social intelligence tools, she says, are the key to figuring that out and using it to boost a brand. Gartner’s Sussin finds herself frustrated that more hasn’t come of social intelligence. She acknowledges the technology to do more with social input wasn’t available when businesses initially started listening to social platforms but says it is now, pointing to the ability to blend unstructured data from social platforms and structured data from traditional systems to extract intelligence. Still she finds organizations “jamming social data” such as how many “likes” they have into Tableau instead of making use of social modules available in Oracle, Salesforce, Microsoft Dynamics and other enterprise systems. “They’re not bringing information in that’s intelligent and it’s certainly not helping them,” she says. For social intelligence to truly take hold, it must be incorporated with the organization’s business analytics and intelligence infrastructure in IT. “Data leaders will say they have enough on their plate with bigger data management problems and don’t see social intelligence as their issue, but it is,” she says. Social intelligence would do well with the governance applied to other data management efforts such as CRM and ERP systems, according to Sussin. “We need the social people and the data management people to talk to each other and understand that this information can and needs to be exchanged for better decision making,” she says. 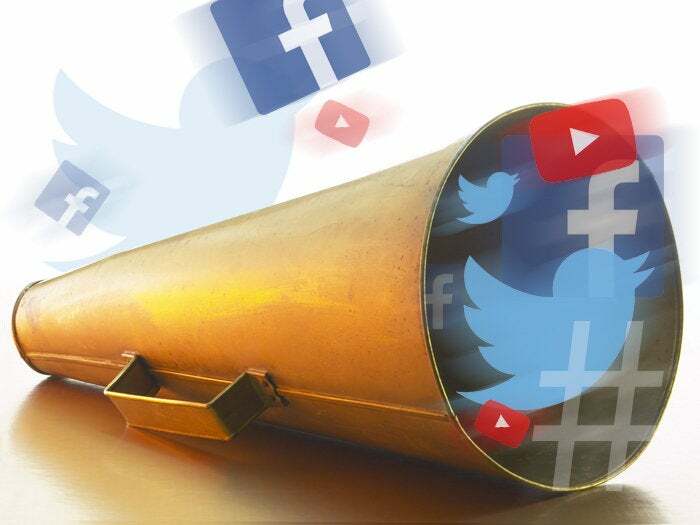 Melissa O’Brien, research director for Digitally Driven Front Office Services at HFS Research, agrees that organizational silos are hampering the power that could be gained from social platforms.